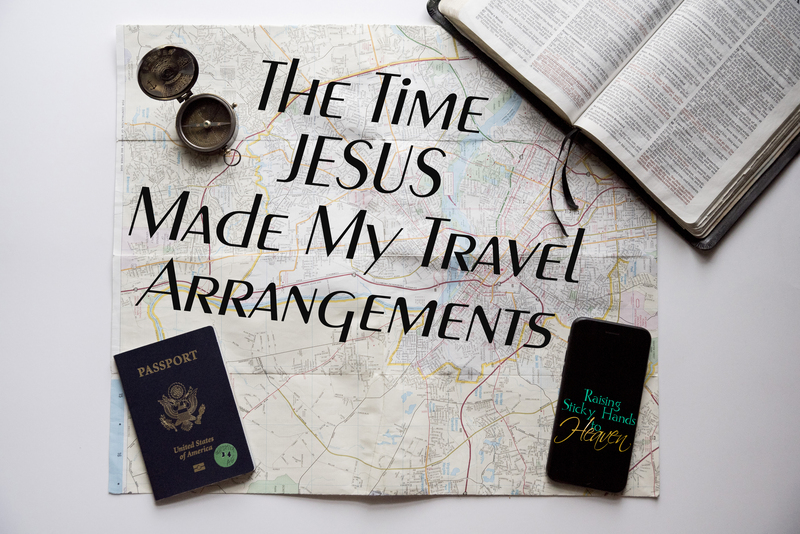 Archive by category "“Simple’ Callings"
Be warned: I am preaching to myself a lot in this post. I’m sure it applies to others as well, but I have pondered and prayed over this very thing. It is so easy to forget that we are supposed to always be willing and able to help another in need. We are surrounded by billboards and voices telling us that we need to look out only for ourselves and keep everything we can. We are so overcome with greed that we are sometimes unwilling to give up our material items when God asks, let alone another human being that hasn’t even asked but rather obviously needs help. Of course, I wouldn’t even be talking about this if our current way of living was not contradictory to what is written in The Word. We are so stubborn and stingy, that we sit on our own material goods until they rot underneath us. What could have been shared with someone in need, we keep tightly in our grip. What if we actually followed scripture? Oh sure, the Bible says to leave some of the harvest in the fields for those who pass through, and if we all had farms that would work. When we compare it to something we could do now, it all becomes so simple and doesn’t have to leave us in the poor house as well. What if instead of ignoring the homeless man with a sign, we take him a meal and a coat? 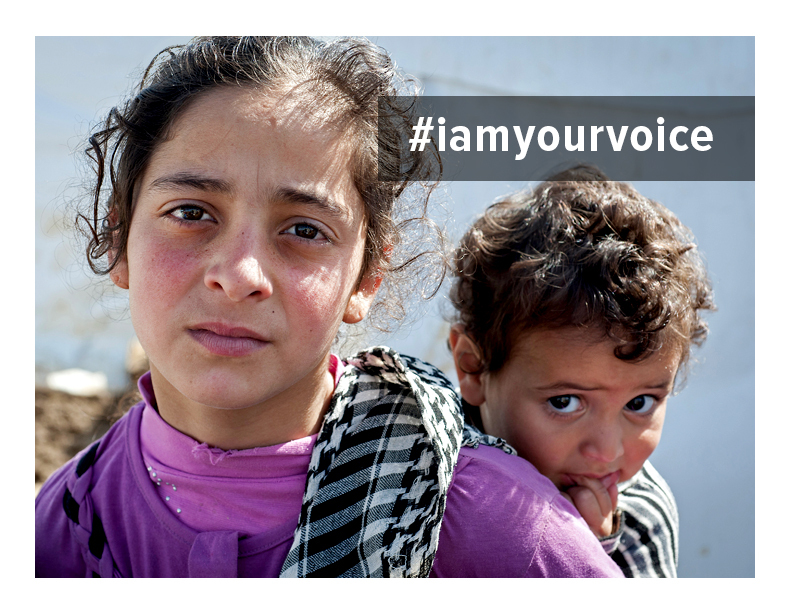 What if instead of spending money on something frivolous, we send help to missionaries or those working with refugees like those I talked about earlier this week with the #IAmYourVoice campaign? How about when we buy a pack of pencils in August, we pull out a few and set them aside for Christmas shoeboxes and/or stockings? Food banks for food we will never eat. A family in our church or a local shelter for clothes we never wear. Now, I’m not saying to help someone else until you are in debt. I’m saying to share. God calls us to help those who require help. To pray, to give, to have extra on hand should it become clear that someone needs it. God didn’t say to ask yourself, “If only”. He said he would bless us for all the work of our hands. Will you join me? Let’s get to work! National Day of Encouragement is coming up on Friday, September 12. It’s time to get prepared! In doing so, I want talk to you about having the heart of an encourager. In the past, we’ve discussed the definition of ‘encourage,’ ideas about how/who to encourage, and how the National Day of Encouragement began. Now I want to get to the heart of the matter. Being an encourager doesn’t always come naturally. It’s sort of like the old saying, “It is better to give than to receive.” Actually, let’s say it this way, “It is better to encourage than to be encouraged.” This is a lesson we have to learn. For example, as a child on Christmas morning, you wake up with anticipation. Your anticipation goes a little something like this…..Oh, I can’t wait to see what’s under the tree with my name on it! I hope it’s the doll I asked for! As a parent on Christmas morning, you also wake up with anticipation. However, lessons through the years have taught your anticipation to be more like this…..I’m so excited to see the look on Suzie’s face when she sees the doll she’s desired for so long! I hope Bill sees the candy in his stocking and remembers when I gave him the same kind our first Christmas! In a way, when you learn how to have the heart of an encourager, it becomes your guilty pleasure. You realize you have the chance to be the sunshine that pushes away someone’s dark cloud. You can choose to not only brighten, but maybe even completely change the mood of depression/anguish/hurt/pity/et c. You finally understand that there are benefits to having an encourager’s heart. The guilty pleasure turns out to be an extra measure of joy in your own life! Many times encouragement is spontaneous. For instance, when that perfect card for your neighbor just so happened to catch your eye. 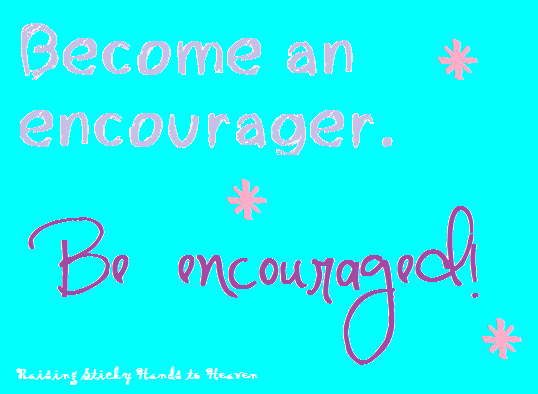 Spontaneous encouragement is fantastic, but intentional encouragement comes with having the heart of an encourager. Intentionally seek to uplift someone. Decide that today you are going to make that phone call to check on a family member or that you’re going to treat your new co-worker to lunch. Definitely keep the spontaneity, yet make an effort to intentionally encourage, as well. Please don’t make the mistake of overlooking those with sunny dispositions! Yes, there are certainly people struggling that are in obvious need of encouragement. Then there are people who live their daily lives with positive attitudes, constant smiles, and glasses that are half full. Remember that these people need encouragement, too. Sometimes the merriment is a facade and there may be a secret urgency for encouragement. Sometimes the always cheerful is genuine, but I guarantee unexpected encouraging doesn’t hurt. Encouragers especially know how to appreciate encouragement. Earlier I mentioned how I may find that perfect card only to stick it in my purse and not send it til a month or so later. I might see it while I’m grabbing out my keys and think, “Oh! I need to send that as soon as I get home!” Then I get home and have to cook supper and switch the laundry and the card is forgotten again until a few weeks later when I spot it again. At this point, I may actually have a free moment to get the card sent. Until then, I refuse to stress about the timing of it all. I know that when it’s all said and done, the encouragement will be received just when it’s needed. Don’t stress about timing, but don’t put it off if the timing is now. Someone may be waiting. Social media is crazy right now with challenges galore! Cold Water Challenge, ALS Ice Bucket Challenge, Grateful Challenge, Gospel Challenge, you name it! Well, I’ve decided to nominate myself and ALL OF YOU to participate in the Encouragement Challenge. The best part is you get to pick who and how. As I said, the National Day of Encouragement is September 12. Seek to possess the heart of an encourager and be thinking about how you will complete this challenge. Pray about it! If you need some inspiration, check out our previous posts on encouragement. Speak up by letting us know in the comment section how you plan to participate or maybe how you’ve been blessed by an encourager. And don’t forget- true encouragement is year round! A few months ago, Melanie from Only A Breath (onlyabreath.com) shared on her blog and her Facebook about her plan to start a secret sister system that is sort of like a grown-up version of pen pals. This was right up my alley and I couldn’t wait to be a part! If this is something you may be interested in, head on over to Melanie’s blog and check it out! 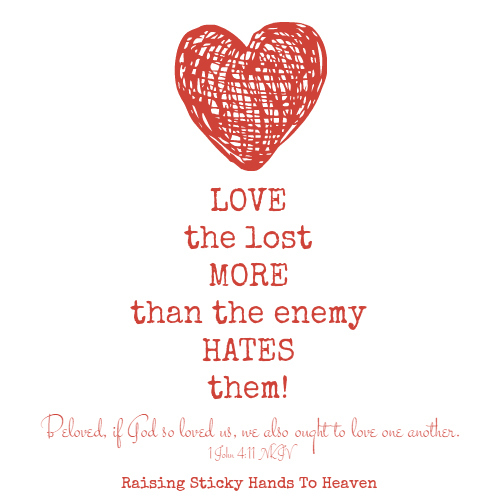 This is a guest post from my dear friend, Cindy. She brought the story of Masha and the New family to my attention and it immediately melted my heart. With Cynthia New‘s permission, Cindy and I have put this post together so that you may read this story as well. God’s hand is all over this, and I just love watching it all unfold. 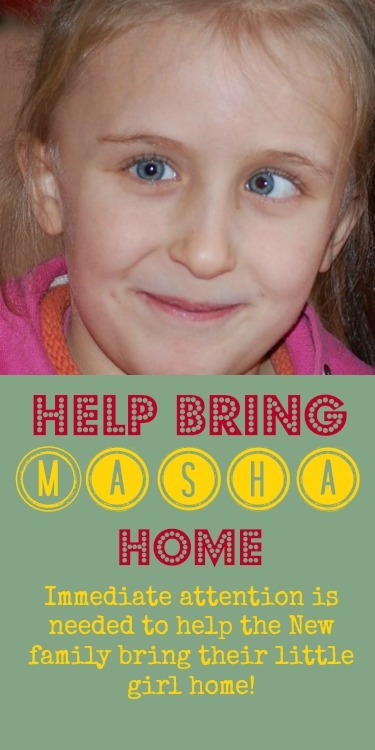 Let’s bring Masha home! A long time ago in an orphanage far, far away (okay, a decade, and in Ukraine), a group of girls grew up together. Surrendered to the system and ignored by society, they waited… waited to hear those magic words, “A family is coming to meet you.” Eventually those girls aged out of the baby house that had been their only home. Fortunately for them, they all ended up at the same orphanage for older children, and the only family they had known remained intact. One by one, families came for the girls. One by one, they left their orphanage for a new life. So one by one, the group got smaller, and smaller. And the girls left behind smiled and sniffled through their friends’ farewell parties, wondering when it would be their turn, and whether they would ever see their friends again. As many of those girls were adopted by American families, they have seen their friends again. Though they may live across the country from each other, miracles of modern communication helped to connect the families and reunite the girls in their new lives and with their new families. But there is an empty seat at the table. Today, as you are reading these words, a girl waits. The last of her friends from the baby house, and stuck with a “special needs” health label that scares off many prospective parents, a wonderful little girl waits, hoping that some day it’ll be her turn to hear those magic words. Here in America, a serviceman’s family with two boys of their own had an extra seat at their table. They always knew they’d like to add to their family through adoption, but never pursued it because they did not feel they could afford it. But still, the mother dreamed. The desire to adopt was reawakened in them when their pastor adopted two girls from Ukraine. One of those girls belonged to the group that had grown up together and reunited in America. She was very excited to be going off to a new life with a family of her own, but sad to leave her best friend behind, to wait some more. Since that day, Andy and Cynthia New have been working tirelessly toward the goal of adopting Masha, and bringing her into the very community her best friend now calls home. They have completed all the home studies, background checks, and other paperwork for their dossier, which the Ukraine adoption authority has already approved, and are waiting to be assigned an appointment date to fly to Ukraine and begin the in-country process of adopting Masha. But one thing stands in their way: funding. Adopting a child is not cheap, and bringing home and caring for a child with health issues even less so. This passionate, loving family, who have already accepted Masha into their hearts, need your help to go get their child. They have already raised thousands of dollars through yard sales, tamale sales, online fundraisers, etc. But they need thousands more. The New family has now been given a date to arrive in the Ukraine to bring Masha home, but they still need the funds to do so. The day is only a few short weeks away, and they need all the help they can get! This Christmas season, you will have many charities reaching their hands out, hoping to benefit from your holiday generosity. Of course, you hope that a majority of the funds you give go where you intended. But here is a different sort of opportunity for giving. And you know it’s not getting siphoned off the top for advertising or executive salaries. 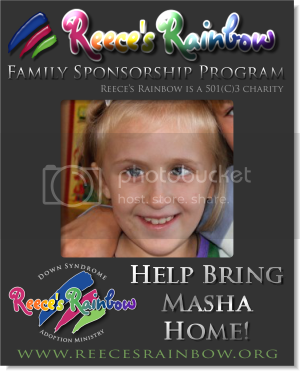 Will you commit to helping the New family bring Masha home? Any donation made through that site will be tax deductible! This post contains affiliate links. Using these links helps us with the cost of maintaining our blog. We are all called to be a witness for His Kingdom. To spread His gospel to anyone that we can and sometimes, that’s just by letting His light shine through us. But there is another calling that most people try to ignore. It can be heavy, burdensome, time consuming, and definitely takes dedication. That is the calling of “Intercession”. In Beni Johnson’s book, The Happy Intercessor , she defines the calling of being an intercessor as “capturing the heartbeat of Heaven and declaring or praying it into your world.” It’s true agreement with Heaven. As I read this book, I found myself identifying with almost everything that Sis. Beni wrote about. For as long as I can remember, I could feel the “emotions”, “spiritual joy or turmoil” or the “attitudes” of those around me. I could “discern” things from a very young age. I knew when a situation was considered Godly or un-Godly. I also “learned” to carry the weight of those around me. I would let it bother me and worry me to the point I would make myself sick. I didn’t know how to lay it down. Sometimes, I still get to the point where the burden is almost too much to carry. 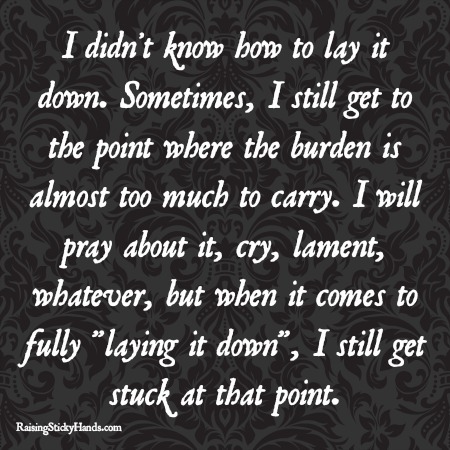 I will pray about it, cry, lament, whatever, but when it comes to fully “laying it down”, I still get stuck at that point. 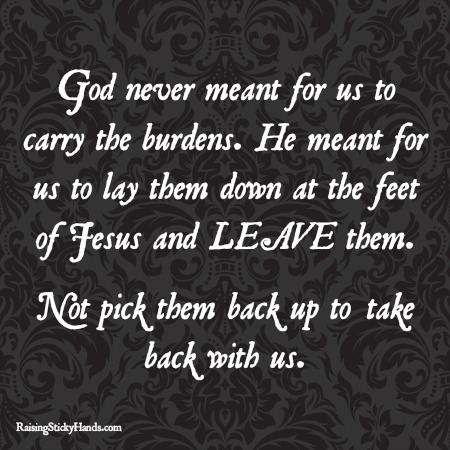 God never meant for us to carry the burdens. 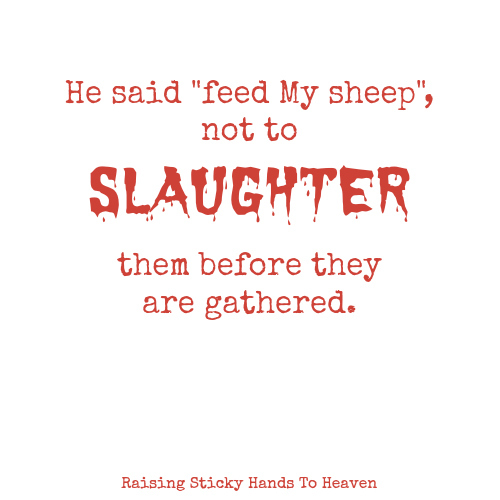 He meant for us to lay them down at the feet of Jesus and LEAVE them. Not pick them back up to take back with us. 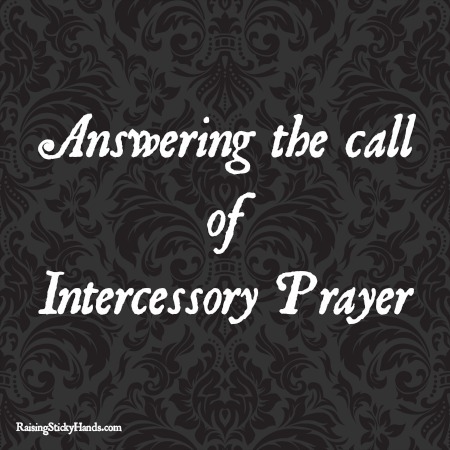 Interceding on the behalf of others can be hard work. Satan is doing his job well. He came to steal, kill, and destroy and Christ came that we may have life and have it more abundantly! As an Intercessor, we have to make sure that we are doing our job. You’ll know when you have that sudden urge in the pit if your stomach that something isn’t quite right. Sometimes, you feel it when you are around certain people or approaching a certain situation. It could be the very prayers that you’ve prayed that it takes to turn a situation around. I pray for my husband and my children everyday. For God to place a hedge of protection around them. What if I didn’t pray for them everyday? Have you ever had an inkling that something was wrong or was going to happen before it happened? Well, God prepared me for such a thing about 2 years ago that involved my husband. Two weeks before an incident occurred, God overwhelmed me with a burden to pray. I knew something was going to happen, I just didn’t know what. I was in spiritual and physical turmoil. Constant intercession. If I wasn’t prayed up and prepared, I would not have been able to deal with the situation that happened. It could have been much worse if I had not been prayed up and had not covered my husband with prayers. If you believe that you are called to be an Intercessor, there are several books out there about it, but I highly recommend The Happy Intercessor by Beni Johnson. It will definitely help you find the joy of being called to intercede to know what a privilege it is to be able to join in the heartbeat of Heaven. This post is not a sponsored review, just a statement of personal opinion. Last week, when I first heard about the tornadoes that devastated a portion of our nation, I was saddened. Later in the day when I first saw photos and video footage of the storm and it’s aftermath, my heart broke. Then to hear the first hand stories of the victims… All I could do was cry out to God and ask Him to touch those affected. I can’t explain the emotions I felt or the thoughts that were going through my mind. All I know is that right now, the only thing that can be done is to pray and help in every way that we can. At this moment, the best way to help is to donate funds or to volunteer time. Thanks to the wonderful and creative ladies that I am blessed to know via the Inspired Bloggers Network, I am able to present ways that both you and I can help those in need. The devastation in the United State’s Midwest region breaks our hearts, and the Inspired Bloggers Network desires to use our influence and the power of our blogs to make a difference. 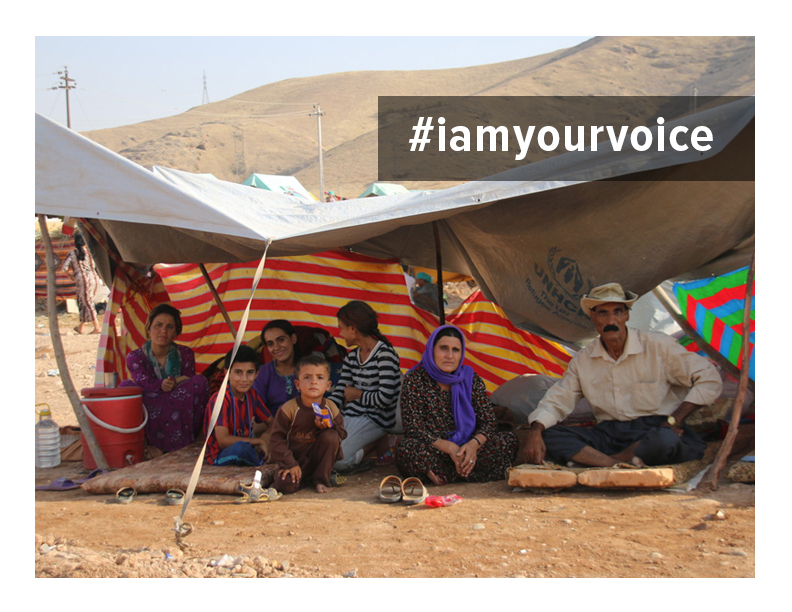 One of the charities we are choosing to feature, Samaritan’s Purse, is currently enlisting volunteers. So, if you are close to the areas affected, please visit the Samaritan’s Purse website to see how you can serve those in need. Volunteers are already in action and more help is needed. Please consider donating your time to Samaritan’s Purse and if you are not available to serve physically, keep those who are working in your prayers. If you are Inspired to Help, please make a donation to either Samaritan’s Purse or the American Red Cross to support their relief efforts in Texas and Oklahoma and help us track our impact by marking the amount you donated in the form below. If you would like, you can let us know you joined our effort by commenting on one of our blogs listed below. 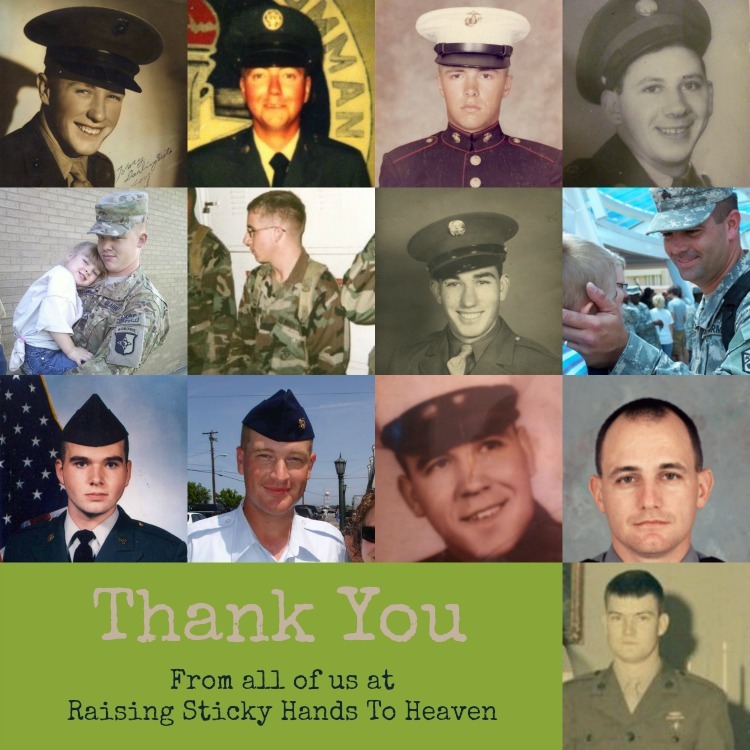 The following bloggers are all participating in the Inspired to Help campaign by posting a call to give on their blogs on Memorial Day… Monday, May 27th. 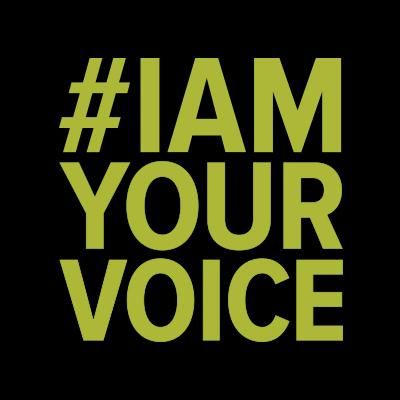 Please visit on or all of these blogs for their personal thoughts on the Inspired to Help campaign. What is the Inspired Bloggers Network? The Inspired Bloggers Network is a group of over 250 women bloggers of various niches, backgrounds, and experiences but all are united as they seek to support and encourage one another while growing their blogs in order to impact the world in a positive way. To join the Inspired Bloggers Network, you must be 1) female and 2) a blogger. Ask to join our Facebook group HERE. For questions or media inquiries, please contact Tabitha.